Melissa McCarthy's new fashion line is for everybody. Whatever you do, don't call Melissa McCarthy's new clothing line 'plus' size. There’s finally a fashion brand out there that won’t discriminate against your curves or the size of your frame. But we warn you: Please erase the word ‘plus size’ from your vocabulary – because actress-turned-designer Melissa McCarthy doesn’t want it associated with her new clothing collection. McCarthy is planning to take on the fashion industry next year with the launch of a new (yet-to-be-named) fashion line that she insists will appeal to women of all sizes. 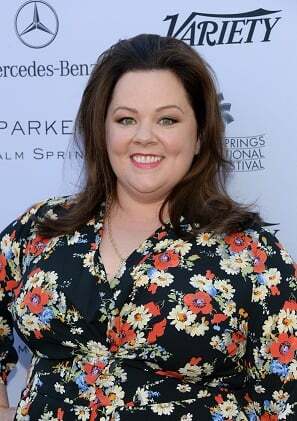 Best known for her hilarious roles in Mike and Molly and Bridesmaids, McCarthy is now determined to fulfil her childhood dream of becoming a fashion designer. Her biggest mission is to ensure it is not a brand labelled with the term ‘plus’. The need to find fashion for every body type is a familiar and important concept for the Hollywood starlet. Always a beacon of fashion. With an unwavering obsession for style, McCarthy insists that people don’t lose their love to dress on trend just because they might need bigger sizes. So she is teaming up with Sunrise Brands in the hope of creating a collection that will change the views about being ‘plus size’ in the fashion industry. “I always said, ‘Why can’t I find great stuff?’ And Sunrise was up for the challenge,” she told WWD. The collection will initially launch with casual sportswear in September 2015 in the US, Canada and the UK – here’s hoping it will then make it’s way to Australia (or at least online). It will also include accessories, beauty products and other apparel that are expected to make their debut appearance in 2016 or 2017. We hope this project is one that will change the face of fashion, and show us that women (no matter what size) can look great in the same designer label. “I’m doing all sizes. It’s a strange thing to stop at a certain size. Women don’t, so why should clothes?” She told WWD. Amen to that. What do you think of creating a fashion label for ALL sizes?